By defining a tooling, graphical and mapping model definition, one can generate a fully functional graphical editor in Eclipse. 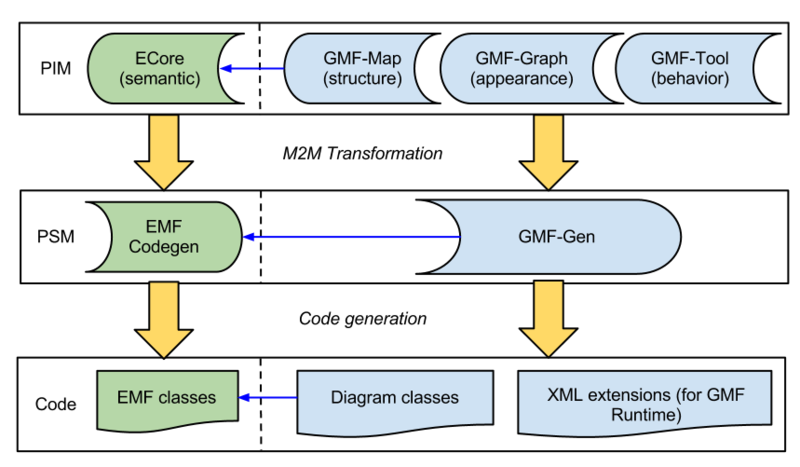 Actually targeting GMF Runtime platform. Support for Graphiti and Web platforms comming soon. June 26, 2014 - GMF Tooling 3.2.0 for Eclipse Luna has been released. Check the Downloads page. Sept 28, 2014 - GMF Tooling 3.2.1 for Eclipse Luna SR1 has been released. Check the Downloads page.